We believe that the region’s prosperity is inextricably tied to its natural landscape and quality of life. People – and companies – move here, and want to stay here, because it’s a wonderful, beautiful place to be. But growth has consequences. The more land we develop, the less rainwater makes it back into the aquifers and springs; the greater the risk of fragmenting the contiguous habitat native wildlife need to survive; the scarcer the wild, open spaces that make the Hill Country such a special and unique place to live. We believe the future economic success of Central Texas and the Hill Country is tied to how well we balance our growth and the preservation of these precious natural resources. The Hill Country population has doubled since 1980 and is expected to continue growing rapidly in the coming decades. That kind of growth and development has significant impacts on water quality, wildlife habitat, outdoor recreation, quality of life, and the region’s rural heritage. 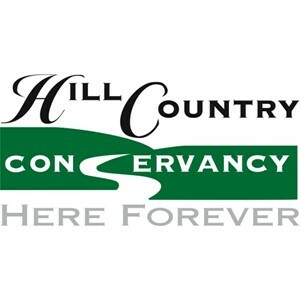 Hill Country Conservancy was formed in 1999 to preserve – forever – large strategic tracts of open space that conserve critical water features, preserve outdoor recreation opportunities, and help maintain the Hill Country’s unique quality of life. HCC is the only professional conservation organization working every day to preserve open space in the Barton Springs Aquifer region. We understand the values of ranchers and landowners, we understand the ins and outs of complex property transactions, and we understand how to get a conservation project across the finish line. Your support of our conservation work helps ensure that the Hill Country we all love will be here for future generations to cherish and enjoy. For decades, the 250,000 acres overlying the Barton Springs Edwards Aquifer had been the prize in a war waged between the area’s business and environmental interests. Finally, after years of discord, leaders from the two sides agreed to a series of meetings. During six months of hard negotiations and looking one another in the eye, the suspicions and doubts on both sides slowly turned into mutual trust. The parties realized they were fighting for the same thing: to preserve a quality of life unmatched anywhere in the nation. Everyone agreed the solution was the creation of a visionary land trust, and in a matter of days, Hill Country Conservancy was incorporated. Hill Country Conservancy’s board of directors is a coalition of leaders from the business and environmental communities, who are turning the lessons they learned in those “peace talks” into answers for the future. We are committed to fashioning unique, farsighted solutions to protect our land and our economy. Our strategic vision is to create Vast Open Spaces. This plan leverages the open space already acquired in the Hill Country and adds to it adjacent or nearby land so the whole becomes greater than the sum of the parts. Eventually, we hope to have an open space “network” of more than 50,000 acres that will preserve the clean water, wildlife, rural character and scenic vistas that are currently threatened.